Two of the free games PlayStation Plus subscribers will be able to tackle in November have been revealed. 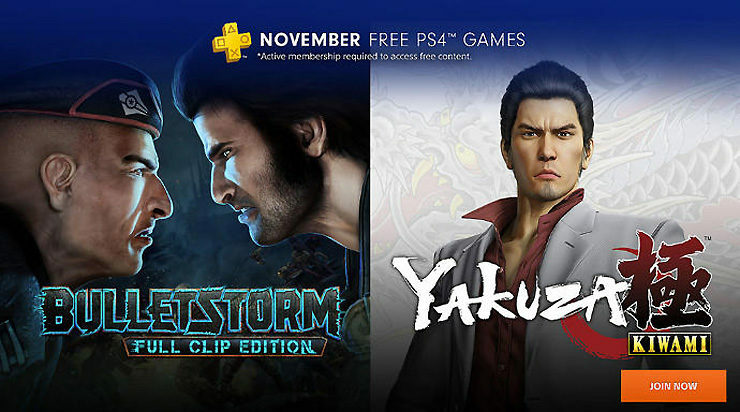 Yes, November – for some reason Sony has jumped the gun, advertising on PlayStation.com that Yakuza Kiwami and Bulletstorm: Full Clip Edition will be offered for free next month. Perhaps Sony wasn’t confident in their somewhat unimpressive October PS Plus lineup (it’s anchored by Friday the 13th: The Game and Laser League), so they decided to skip ahead and start promoting next month’s selections early? 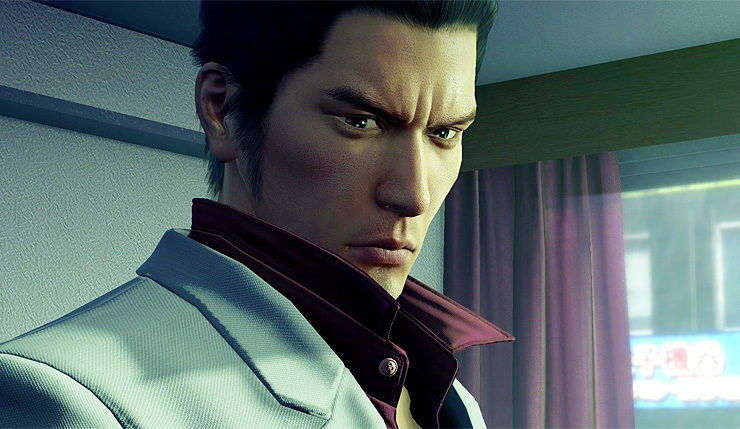 In 2005, a legend was born on the PlayStation 2 – now, 11 years after that release, a new generation of players will be able to experience the incomparable action and drama of the Yakuza series with the rebuilt-from-scratch HD remake exclusive to PlayStation 4, Yakuza Kiwami. “Kiwami” literally translates to “Extreme” and with good reason: The game is packed with new features and content beyond just a casual up-rez of the original game. Kiwami adds tons of new story depth over the PS2 original, new distractions, added side quests, updated mechanics and combat, and much more. Step into the boots of Grayson Hunt after a crash landing on an abandoned resort planet forces him to make a hard choice: survival or revenge. Battle your way through throngs of Stygia’s mutated inhabitants, performing masterful kills throughout the single-player campaign — or one of 30 competitive score-challenge or 12 co-operative multiplayer maps — using Bulletstorm’s unique “Skillshot” system that rewards you for executing the most creative and deadly kills imaginable. Bulletstorm: Full Clip edition is the definitive Bulletstorm experience that includes all existing Bulletstorm add-ons, plus brand-new content exclusive to Full Clip! PS Plus usually offers six games per month – 2 PS4, 2 PS3, 2 PS Vita, so there are still more November games to be revealed, but these are pretty solid headliners! In the meantime, you can get the full rundown on October’s lineup, right here. What are your thoughts on November’s free PS Plus games? Which game will you be tackling first?